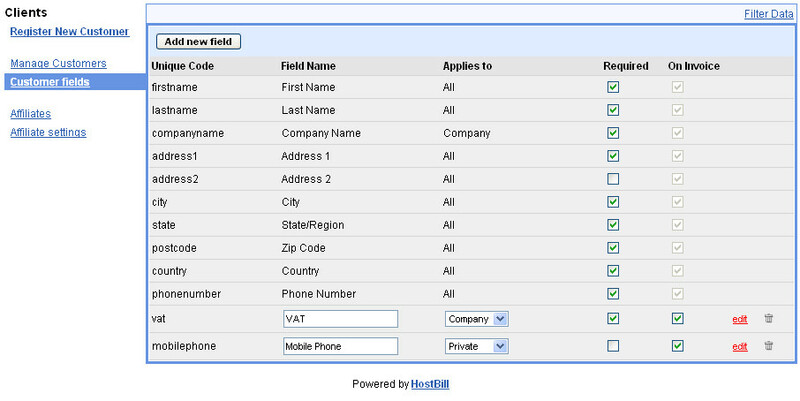 With release of new version we will introduce new feature to HostBill – customizable client fields. 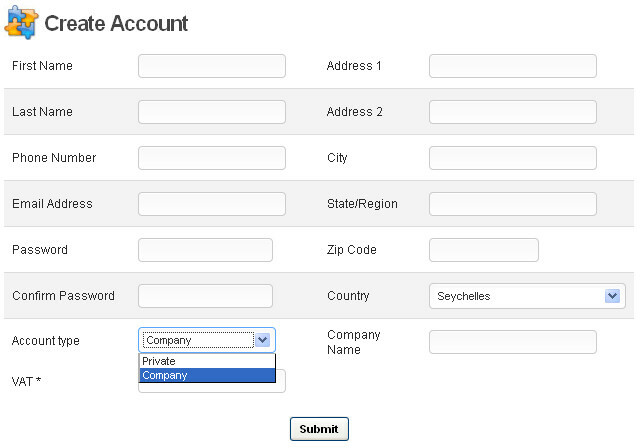 During signup client will pick his profile type – Private profile or Company profile – as an administrator you’ll be able to configure which fields need to be displayed for each type of customer, you also will be able to set those fields required or not, to be displayed on client invoice or not. You will be able to define your own custom fields – lets say you operate in European Union and wants your commercial customers to provide their VAT number during signup – nothing simplier with HostBill! Take a look at screenshots and see by yourself. We’re working hard here on new version, and thanks to your requests HostBill’s built-in livechat would have ability to add it to your existing website, outside HostBill! All you need to do is copy code, add it to your website head tags and your clients can enjoy live support! Thanks to amazing piece of software – Jing – we’re going to post videos on our blog from various HostBill section. First one containing features described in post below – fetching OS templates from server, and daily/weekly billing options- enjoy. HostBill 1.2.6 coming up – release is scheduled for tommorow, so exactly after two weeks from previous release. I think we will win our own time-challange, because we’ve done A LOT during this two weeks of development. Hello all HostBill users! We’re working hard on record-speed release, and I’ve got a little sneak-preview of one of features. It is console for our vps.net module (statistics were already introduced on their forum). I’ve just finished implementing it, therefore it might need some styling. Dont forget to leave comment below, letting us know what you think and what else needs to be done. As usual – click on image to zoom. Hello all interested in HostBill application, have i got a little eye candy for you! Attached below is screenshot of new cart template which will be included into upcoming next HostBill release. 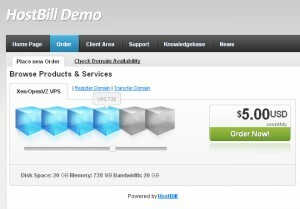 I think everyone who are interested in VPS hosting will appreciate possibilities it creates. Stay tuned for more previews, and let us know what you think in comment section below. Hello all intrested in HostBill project. We’re happy to annouce that version 1.0.2 getting its last screws and bolts and it will be released very soon from now (date will be revealed in next post). As we’re very excited with it, we’d like to give you a sneak preview of upcoming new features in HostBill – mostly developer-friendly ones. Today we launched a new HostBill feature which will save your from having to copy each account manual from Control Panel to HostBill.